Packed with the power of a mainstream superstar, this unknown 16-year-old from the small California town of Yucaipa, ShayE and The Dreamers has been amazing audiences on the small stage for the last three years. With this years release of her debut CD entitled, “Rain” this young starlet is touring one small town after another, giving listeners a taste of her sweet yet powerfully charged voice as she makes her way to music stardom, but this road may be a hard road traveled. Back in the 90's the presence of the female artist and Lilith Fair was the talk on every person's lips that loved music. Whether it was a positive or negative reaction, people talked about it and there was a surge of powerful female solo artists and they were all over VH1, MTV, and the radio. This surge was a direct responsibility of one artist, Sarah McLachlan, because artists like her were being ignored and pushed aside for the big money makers like Christina Aguilera and Britney Spears. Over 15 years later, the Lilith Fair tour is still active and well in music, but the big radio conglomerates still control the airwaves and the public hears less and less talented artists like ShayE and the Dreamers, but they are out there. Because there is less support, there is only a fraction of the amount of fans there used to be and this seems to be the fault of the major record labels. Today’s industry is so financially hurt by the new music industry that the executives are afraid to invest in "nice" music. Like many major labels, they only invest in what is a quickest and the biggest sell and for artists like Shaye Taylor, they go unrecognized and many artists like Shaye remain in the independent artist status. Although this may be an uphill battle, Shaye pays no mind to current trends or the music industry of today and remains optomistic. Like many artists in her position, her focus is continuing to do what she loves and that is writing music, performing, and letting people know about her new CD, “Rain”. The first half of Rain is filled with incredible poetic songs about confusion, loss, pride, and even a song that was inspired by the movie, Alice in Wonderland called, “Alice”. While each song is simplistic, each and every song is delivered so well, it is hardly noticeable. Shaye’s crowd pleasing song by far is “I’ll Never Know”, but there was another song that caught my attention more so than any other on the album. Midway through the CD is the title song “Rain”, a gloomy and somber song about the transitioning from child to adult when innocence is awakened to the harsh realities of life. Suddenly, rain looks a little greyer than before. Overall, the “Rain” is enjoyable from the first song to the last. From such a young talent, it was a pleasant surprise to listen to music that was pure, honest, and just plain fun. 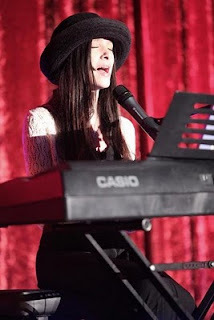 Inspired by artists like Sarah McLachlan, Fiona Apple, Vanessa Carlton, Kate Voegele, Jewel, Norah Jones, and Marina V, Shaye's inspiration shines through many if not all her songs, but she remains to be herself giving her listeners something new and original. Listen to a special 4-track preview with a special guest appearance by Shaye Taylor of ShayE and the Dreamers only on The Great Unknowns Presents, Ep 74. Q: How did music start out for you? 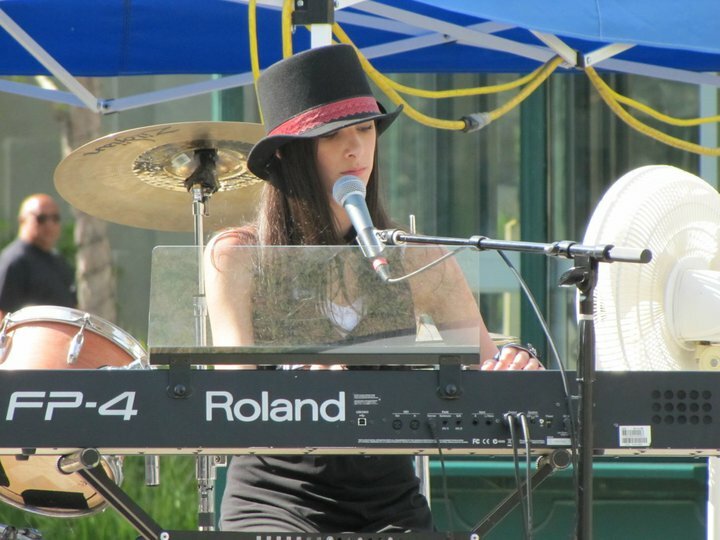 A: I attended the first Female Acoustic Showcase hosted by Crystal McKee in 2008 and I was inspired to learn how to play the piano...I wanted to be just like those Amazing ladies! My parents had an old keyboard in the garage rafters...and when no one was looking I pulled it out along with a pair of headphones and I began teaching myself to play original music the lyrics just seemed to keep coming!! Q: How did you meet Chris Bidwell and Scott Pulliam of “The Dreamers”? A: Scott Pulliam actually attended the first F.A.S. that I performed as a guest in the summer of 2009; he was there to support his sister Music Artist Holly Diane. Six months later we met again at the Flour Fusion in Lake Elsinore C.A. where I was being showcased,coming from a musical family, his older Brother Michael was being showcased as well. From that day on we kept in contact. 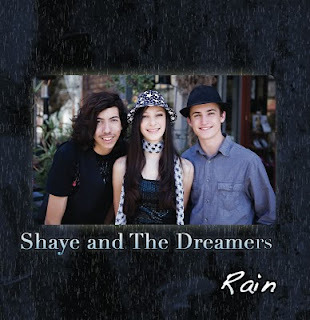 Because I was competing in the So Cal Live Music Competition sponsored by Bob Leggett, I needed a Band in order to join in a second category, so I called Scott and he called Chris Bidwell a Bassist , a long time friend and fellow musician from that day on We have Been Shaye and the Dreamers! They are Amazing and the Support of the guys and their Family has been a Godsent !! Chris Bidwells Mom (Jane Bidwell Photography) did All the Photography for My CD "Rain"as a Gift to the Band and The Pulliam Family have Hosted Many Band Practices in their Home. So I consider them My"Music Family! " Q:This is kind of silly, but you once referred to your “Dreamers”, Chris and Scott as the “Moose Boys”. You can’t call someone the “Moose Boys” and not have a good explanation for it. What’s the story behind that one? Q:Is your family supportive of your career? A: Yes they are very supportive of my band and I, they help in as many ways as possible. My mom is an acting manager and my sister Thresa Saenz helps with my Web pages and other scheduling, I am one of 5 kids So basically With my Family and the Bands Family I have complete crew of support! Q: Is this a career move for you…do you think? A: I intend to take this as far as it will go. I have big dreams, my parents taught me I can do whatever my heart is set on and as a christian I believe I can do all things through Christ so I expect BIG things! Q:If you suddenly gave up your music career, what do you think you would want to do for a living? A: I have no intentions to give up my dream, but if I did...it would always relate to music as in, teaching music or music therapy which I have spent time looking into as a secondary career choice because of my love for people and people with disability's and challenges! Q: Was there one particular concert or moment that made you said to yourself, “Yeah, this what I really want to do”? A: The Female Acoustic Showcase at Dos Lagos in Corona C.A. The crowed, the excitement of the show was amazing, and being able to get my lyrics out to so many people at once! Q:One of the biggest and growing icons in the Inland Empire area is Crystal McKee. How did you meet her and what kind of role has she played for your music? A: I met Crystal when she hosted her very first F.A.S. show at The Coffee Depot in Riverside C.A. She has played a major role in my career as she has an amazing spirit and an outgoing personality, She has been extremely supportive!! Her husband Kevin McKee of In Depth Music produced my new C.D. "Rain". The art work on the C.D. was designed by Crystal McKee. Q:So, far this is your 3rd year of touring and performing live, am I right? What was your best and most memorable experience? A: Yes! This years F.A.S. in Victoria Gardens Rancho Cucamonga C.A. There was an amazing crowd and it was the perfect setting! Q:I know you have a wide variety of artists that you like and look up to, but who is your top 5 major influences? A: Other than indie which is what I mostly listen to they would have to be, Koko Taylor, Colbie Caillat, Fiona Apple, Jewel, Sara Bareilles. Q:Where does the inspiration for your lyrics and music come from? A: Most of my inspiration comes from my faith. I wanted a way to express my faith in a positive and loving way and being a people watcher I tend to write about the pain and joy of the people around me! I also find inspiration in Movies, Book and Paintings. Q:Is it difficult to write a song? What do you go through to create a song? A: No not at all...the lyrics seem to come from within! Most of my songs start off as instrumentals and then the lyrics seem to flow...so i write them down! Q:When you’re not performing or writing music, what else do you like to do for fun? A: I love to roller skate, hang with friends and family, go to local indie concerts, fishing, swimming, long walks on the beach and reading mysteries...my favorite being Mary Higgins Clark! Q:I know you barely released your first E.P. this year and you are currently working on a wide distribution of your CD “Rain” later this year, but do you have plans to release another CD? A: Since the recording of my new C.D. "Rain" I have written many more songs and would love to work on another C.D. within the year. I am also working on a compilation album with Travis Baker of A Temecula Based Band "On Being Human"! Q:The summer is half over, but there is still plenty of time to see you perform live. What does the rest of your schedule look like for Summer and Fall of 2010? A: Well...right now I am booked at several youth and August 21st is my super sweet 16 Birhtday/Show at the Flour Fusion on Main street in Lake Elsinore C.A. August 7th Home spa/show, August 28th Church of the Valley aqt 6:00 in Highland California September 24th Riverside Plaza/ Riverside Rock( Regional Organization of Creative Kinds). *Interview was conducted by Michael J. We have been spinning Shaye and The Dreamers for about 6 weeks. Her talent is unmistakeable and Shaye is a station favorite having consistently charted twice as the #1 Artist of week. She is being showcased as a Featured Artist of The Week August 2nd thru August 7th at 4pm Pacific Time on KXBG.